The Alexander Signature mattress uses higher-density memory foam than many of its competitors, but does better foam equal a better bed for you? Read our review to find out. The Love & Sleep mattress is a nod to the company’s claims that this bed has some bounce to it, which some prefer for late-night activities with a partner. But does this mattress live up to its name? The Nest Bedding Latex mattress (formerly known as the Q3 mattress) is designed to feel "just right" -- delightfully comfortable with plenty of support. Each Nest Latex mattress is designed to achieve Spine Neutral support while providing a pressure-free sleep surface. This line is available with Certified GOLS and GOTS materials as well as Organic Cotton fabrics and Joma Wool, which combine to create a cool and comfortable sleep environment. Is All Latex the right bed for you? 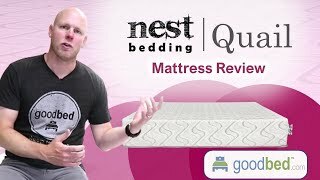 The Nest Bedding Natural Latex collection has 2 ratings and 1 review on GoodBed. 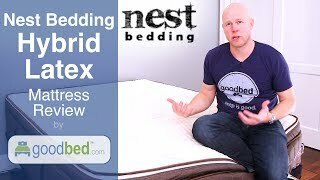 The Nest Bedding Organic Latex collection has 2 ratings and 0 reviews on GoodBed. The Nest Bedding All Latex line is recommended by 75% of owners on GoodBed (based on 4 ratings + 1 review). 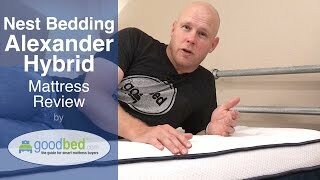 Do you have a Nest Bedding All Latex mattress? Write a Review! There are 4 ratings on GoodBed for Nest Bedding All Latex, but no reviews yet. Be the first. Have a question about All Latex products or stores? 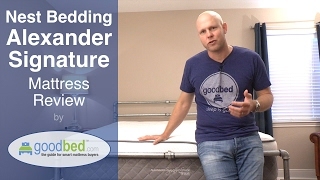 Mattress Thickness: 9" to 12"
Note: The product line specifications above were derived from the active Nest Bedding All Latex models listed on GoodBed. As a result, these details may not be comprehensive and may not apply to all Nest Bedding All Latex models. If you are seeking specifications for a particular Nest Bedding All Latex mattress, please search for that mattress by name on GoodBed, or check with your local Nest Bedding All Latex dealer. The All Latex product line is a collection of mattresses released in 2016 that is manufactured by Nest Bedding. Have an update or correction to our information about Nest Bedding All Latex? If so, please take a moment to suggest an edit. Nest Bedding All Latex mattresses sold by Nest Bedding come with a 100-night in-home trial. Nest Bedding All Latex mattresses are only available online or through Nest Bedding stores. Click here to check for a location near you.